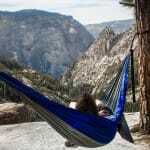 Making the jump from car camping with your hammock to backpacking with your hammock can be intimidating. While more difficult than planning a weekend trip at a drive-in campground, a backpacking adventure offers an experience you won’t get anywhere else. With a little preparation and know-how, you can feel safely and confidently start venturing out into the wilderness. The most important thing for any trip is proper preparation. This means understanding how to stay safe and making sure that you are physically capable of embarking on a multi-day trek. 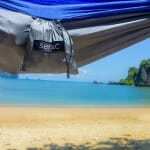 For beginner backpackers, having an experienced friend or two to go backpacking with you hammock is good for both learning wilderness skills and group safety in the event of an emergency. Creating shared memories can also be much more fun than trekking alone. Be clear with your limitations and speak up if you feel that you are having difficulty keeping up – a good hiking buddy will be supportive and pace themselves with you. If your friend has years of experience backpacking, he might not even realize that you are struggling, so don’t be shy if you find yourself slowing down. When planning your backpacking trip, you’ll want to factor in the trip’s length, elevation gain, and any other special considerations (Will you bring kids or animals? 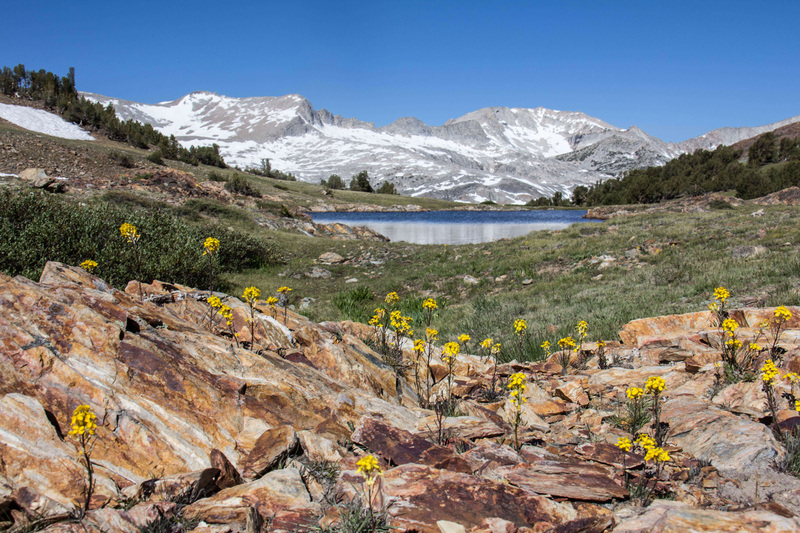 Are you looking to summit mountains or watch for seasonal wildflowers?). For beginners, a one-night trip with a total distance of around 10-15 miles is often recommended. If the prospect of carrying a full pack for two consecutive days seems too much of a challenge, breaking down the trip into three days. The first day, set up camp at your destination. Then use the second day to take a day hike nearby or relax at camp (maybe in your backpacking hammock 🙂 The third day, you can hike back to your car. This way you’ll catch a break in between two full days of carrying your full pack. There are several resources for choosing the perfect destination. Guidebooks are great at pointing out the most popular trails and providing reliable trail directions as well as information on terrain, difficulty and any permits you may need. Websites can provide great advice as well, though they may not be the most reliable or provide the most clear directions. If you’re feeling adventurous, you can also head to your nearby national park and talk to the park rangers there. They’ll be able to point out their favorite trails that meet your ability level and give you the most up to date trail conditions. 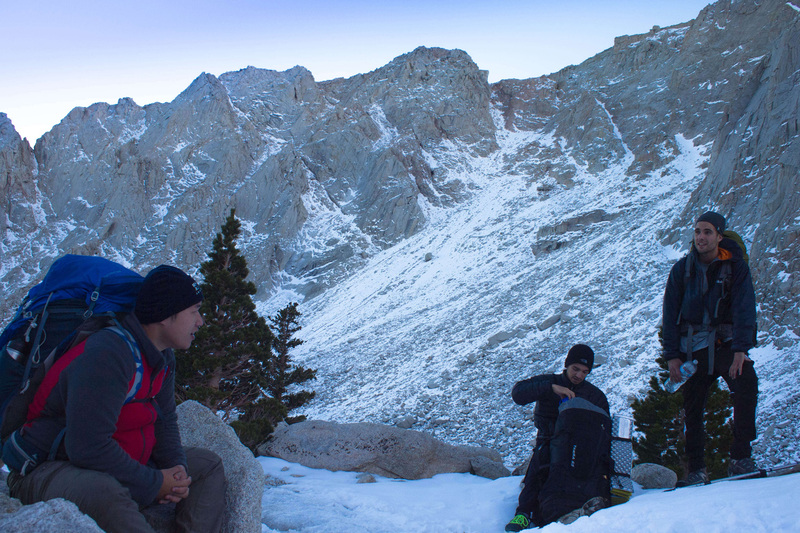 When you plan your backpacking trip, make sure you understand the rules and regulations of the land. Many places require wilderness permits that can be obtained for free or a small fee. Check the park websites for information on what you’ll need before heading out into the wilderness. If you exercise regularly, you may already be ready for an overnight hike on easier terrain. But if you don’t think you are physically ready, you can set up a basic training regimen that will get you ready for your first big backpacking trip. The best way to train for long distance hiking is to hike often. Begin with shorter hikes on the weekends, and walk as much as possible every day. Nothing will get your hiking muscles ready than walking a lot! Gradually increase the length of your hikes and start increasing the load in your backpack. Even if you don’t think you’ll need it, start packing a few extra things just to increase the weight and get yourself accustomed to carrying a heavier pack with you as you hike. As you are getting stronger, increase the difficulty of the hikes and start carrying a pack close to the weight you will be expecting on your backpacking trips. This helps your body become familiar with the conditions you’ll face on the trail. Even if you aren’t able to hike often, you can still get into good hiking shape by adding more walking into your daily routine. Take the stairs whenever you can and walk instead of driving to your destinations. 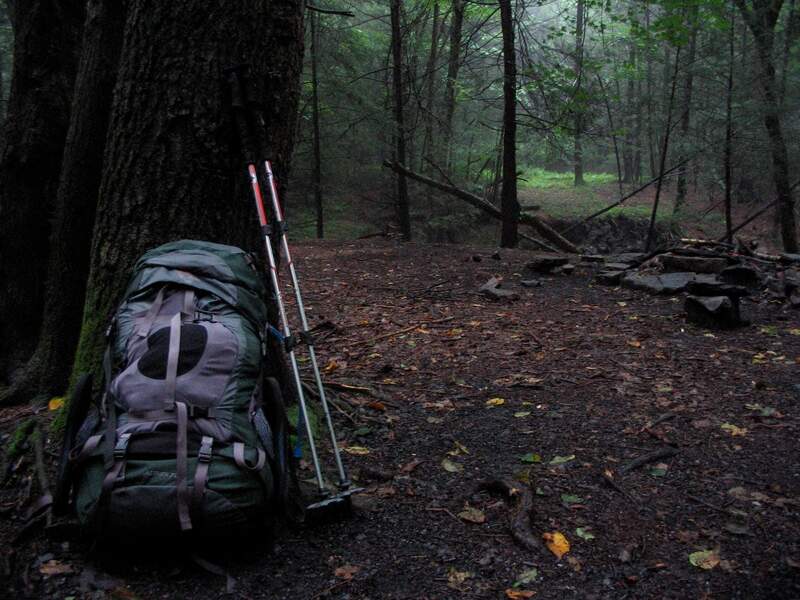 The most essential piece of equipment for backpacking is the backpack. There are a few important factors to consider when choosing the right backpack for you. You may have noticed that many of the backpacks have a number next to their name. This number refers to the pack’s volume in liters. For shorter trips (1-3 nights), 35-50 liters will be sufficient. Multiday trips (3-5 nights) will require 50-80 liters. These packs are the most common and most versatile due to the pack’s’ ability to compress down to a smaller size, or extend out and increase the capacity. Longer trips or trips in the winter where you’ll be carrying much more gear will command 70 liters and higher. In addition to capacity, backpacks are sized (often M and L). The size is measured by a person’s torso length, not their height. The best way to get the right sized pack is to head to your local outdoor equipment store and have them size you. Internal-frame backpacks are by far the most common packs sold. 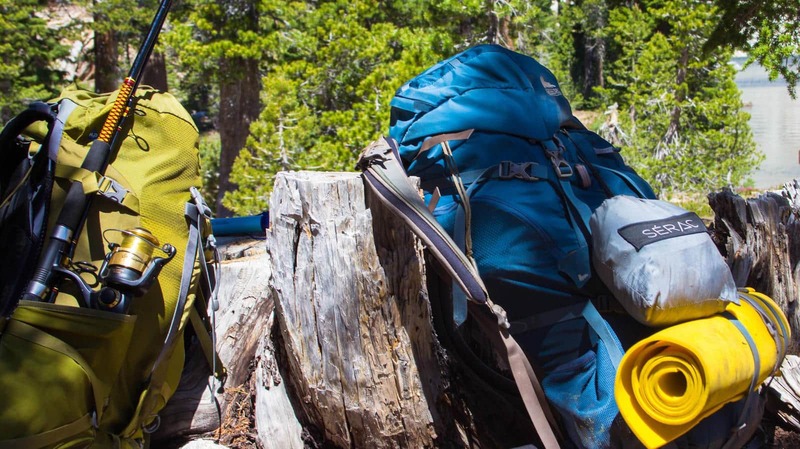 The benefit is a pack that is designed to remain stable on uneven and rough terrain. They feature a variety of load-support technologies designed to transfer as much of the load to the hips as possible. External-frame backpacks are the old school backpacks featuring a large metal frame. These are much less common today than they were 50 years ago, but many people still swear by them. The external frame packs offer superior ventilation and have great load transferring capabilities. They are great for carrying irregular loads and the modular design allows you to rearrange gear in a large number of ways. Frameless backpacks are suitable for experienced backpackers that are looking for an ultralight option. While they are not great at transferring the load to the hips, they are mainly used by ultralight hikers so the weight is already greatly reduced. Backpacks come with numerous features that you should consider when making your purchase. The standard pack will be top-loading, but some may feature a zippered front panel that can be opened to expose the full interior of the pack. Additional pockets should also be taken into consideration. Do you prefer many extra pockets on the pack allowing for meticulous organization? Or do you prefer easier packing by having a large main pocket? Other features available are removable top lids, sleeping bag compartment, attachment points and rain covers. Having the perfect backpack won’t mean much if it is poorly packed. Fortunately, efficient packing is easy to learn and relies on a few principles. Visualize your backpack broken down into three zones: the bottom, core and top. Before going on your first trip, practice packing and unpacking your backpack at home so that you can quickly load up after breaking camp. Begin by packing the bottom of your pack. This is where you’ll place items that you won’t expect to use until camp. Most people will squeeze their sleeping bag into the very bottom. This is also where you’d want to keep your sleepwear, sleeping pad (if it rolls up into a small bundle) and any other night-time only items. The only exception is a headlamp or flashlight. Always keep your headlamp or flashlight somewhere that’s easy to access. The core will be where the bulk of your gear goes. The goal when packing the core is to center the heavier items. Heavy items too low and the pack will begin to feel like it’s sagging. Too high and the load will feel top heavy and threaten to tip over. Place your food, water supply, cooking stove and fuel above your sleeping bag and close to your spine. These are usually the heaviest items and you will want them centered. Fill in the remaining space with clothes, camping hammock, rainfly and rain jacket to help stabilize the heavier items in the center. I usually tuck my backpacking hammock near the top/center. If you are hiking in bear country, you need to make sure that you are carrying a bear canister for your food. Place the canister in your main compartment as close to your back as possible. Canisters can take up a considerable amount of space so always fill the bear canister to the maximum capacity. Keep your heavy items in the bear canister and use softer, lower weight items to keep the canister centered on your spine. The top lid of your pack is where you’ll carry the most frequently used items. This includes your map, compass, sunscreen, mosquito repellent, first-aid kit, headlamp and any snacks. Many packs offer extra pockets to help you organize these items. If you are using a foam sleeping pad that does not compress to a small size, you can lash it to the top of your pack under the lid or near your waistline on the outside of the pack. Any other gear such as trekking poles, crampons or other tools can be attached to the outside of your pack in the side pockets or external gear loops. 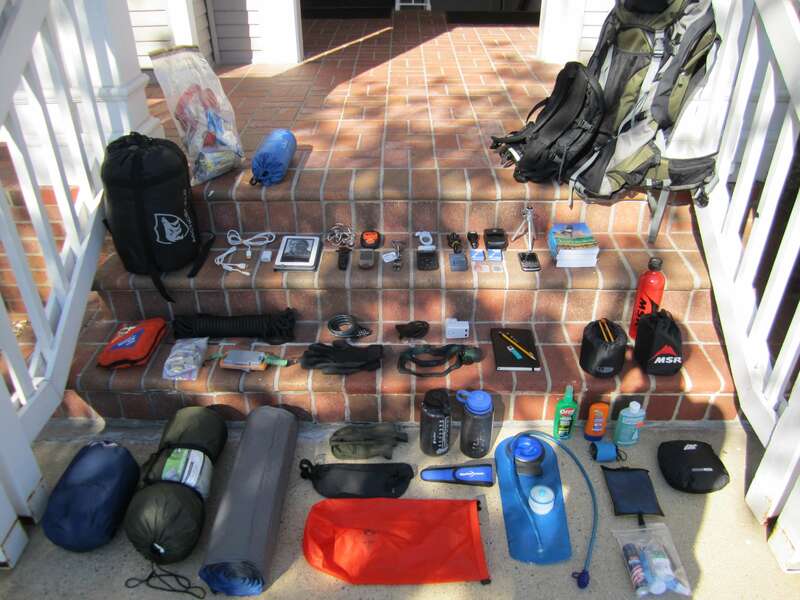 Here’s a checklist to make sure you have all your backpacking essential gear. When your pack is all packed up, tighten all the compression straps to reduce the amount of shifting that may occur. This entry was posted in Camping, How to, Informational. Bookmark the permalink. Great info on how to properly pack a backpack. I used to pack the heavier gear towards the bottom. I’ve moved the gear to the center and noticed a huge difference. Thanks!! I wanna work for u guys! 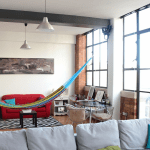 Everyone in the world should have a hammock! Also working on hangfit and hamasutra…u guys have the perfect platform to help me develop these ideas!